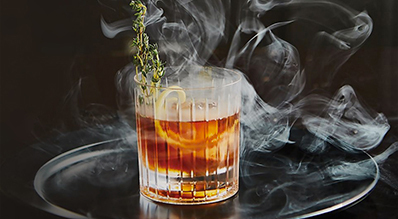 Welcome to Kimpton Tryon Park Hotel, where we’ve taken a decidedly different approach to Southern traditions. 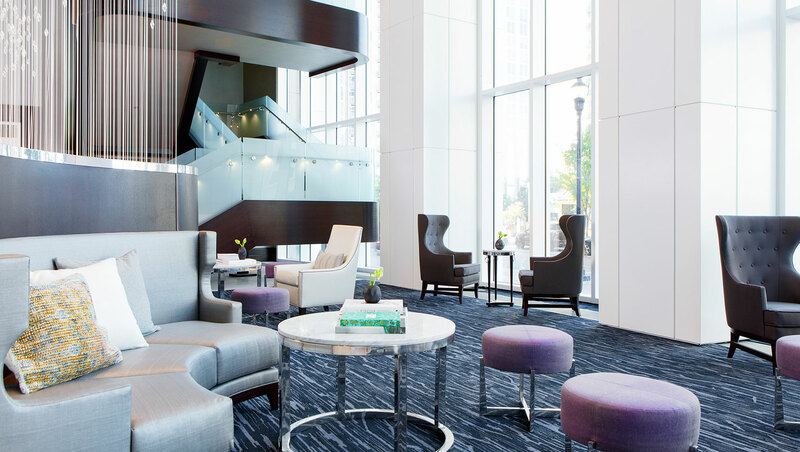 As gracious hosts in an evolving city, we invite you to take part in the culture of the New South in Uptown Charlotte, where the buzzing energy of a major city blends with hospitality. 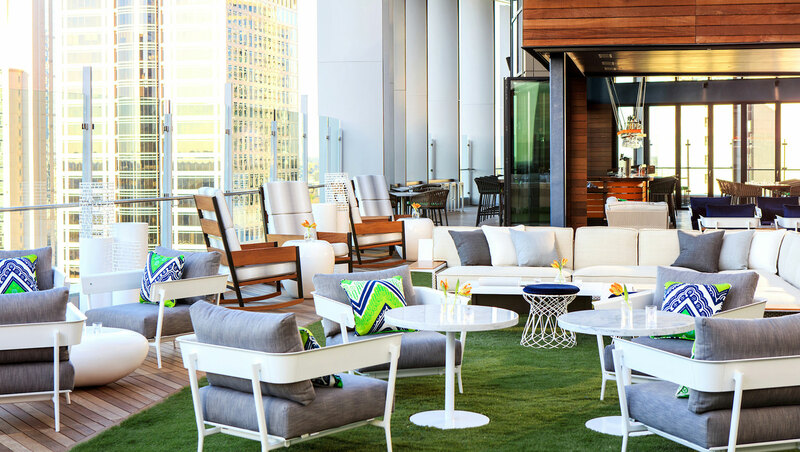 After a day spent closing deals on Trade and Tryon, lose the suit jacket and relax with an expertly crafted cocktail at our sleek rooftop bar set 19 stories above Romare Bearden Park and greater Charlotte. Inside, rest on luxe linens among soothing shades of gray and blue, preparing to take on another day in this flourishing southern hub. 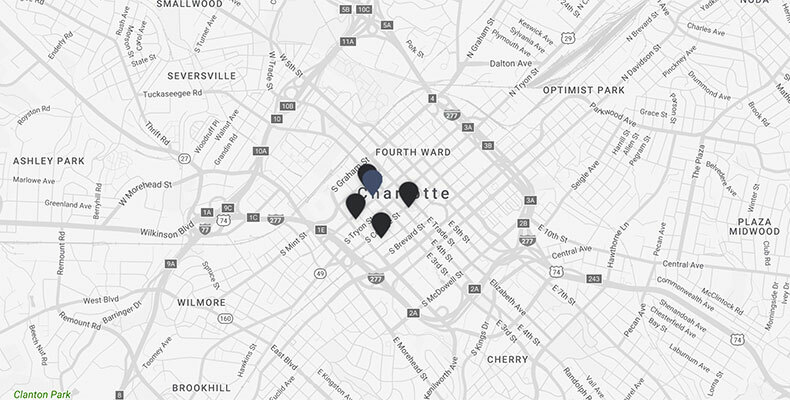 "The hottest part of uptown Charlotte just got hotter." "An excellent addition to Charlotte’s hospitality scene." Our downtown is called Uptown, matching the trajectory of this humble metropolis. 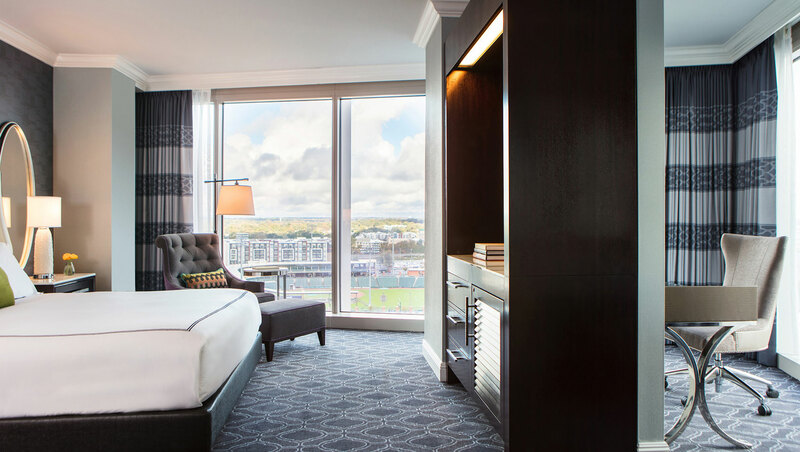 Situated in Uptown’s 3rd Ward, Kimpton Tryon Park Hotel is steps from Charlotte’s major entertainment venues including the BB&T Ballpark and Bank of America Stadium and Spectrum Center, great for both work and play.